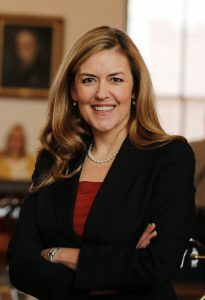 Rep. Jennifer Wexton is a former prosecutor, substitute judge, and Virginia state Senator, with a track record of fighting for justice and equality on behalf of all Virginians. Wexton defeated incumbent Rep. Barbara Comstock in 2018 with tremendous grassroots support a strong electoral base in the district that she previously represented in the state Senate. While practicing law and passing legislation, she’s also proved to be a fierce advocate for immigration reform and economic justice. In the House of Representatives, Wexton serves the exclusive House Committee on Financial Services, as well as the Committee on Space, Science and Technology.